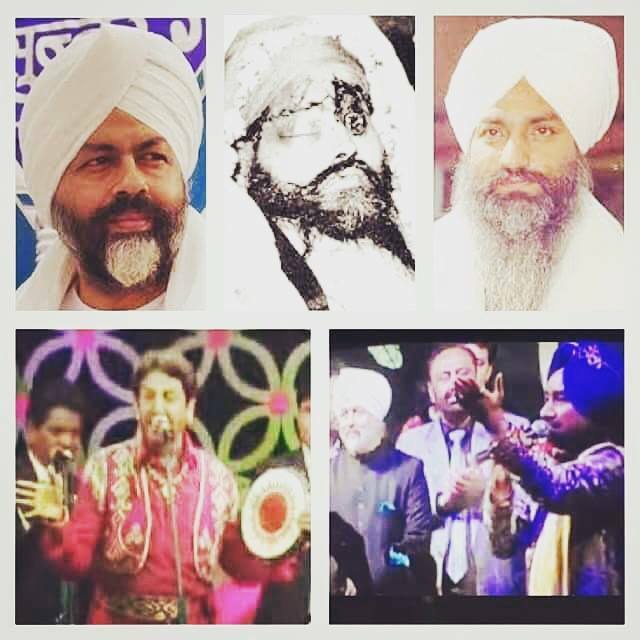 Khalsa ji we need to wake up and boycott such singers who claim they are Sikhs but instead sing birthday praises for narkdharis or other muslim pirs. With sant jis kirpa and fearless parchar after the 1978 amritsar massacre the jathedar was left with no choice and released a hukamnama from sri akaal takhat sahib boycotting the narkdhari cult. It also states that the sikh nation is not to meet with narkdharis or support them since they martyred our 13 singhs and brutally injured 78 including baba manochahal ji. Shaheed baba fauja singh can can be seen in the middle of this image. Narkdhari gurbachna on the right and his son who is currently the narkdhari leader on the left. The two famous singers below have in previous years specially attended this narkdharis birthday and sang for him. The hukamnama states we are not to associate with this cult and any of its associates so why is it when these losers come to the uk on tour the majority of our singhs are all over these narkdharis or they invite them for vasakhi mele? We have seen facebook images of people with these singers who are proud, even spiritual leaders attend their concerts.